What Is Epic Wedding Photography? When you hear the words epic wedding photography, what do you think of? Viral images come to mind, the kind we see featured in news and circulating through wedding blogs. The kind that take place in unreachable scenic locations. The concept of a wedding in a fantastic and far away place many people might never visit. This is only one way to look at wedding photography. This is epic in a pop culture sense. For example, Mount Everest is visually stunning. Pictures from a wedding there get shares and likes on social media, and people talk about them over and over. The downfall of this narrow view of epic wedding photography is it’s only achievable to couples getting married if they are climbing Mount Everest. Epic Wedding Photography Is Personal. I believe every single wedding no matter how or where it happens has epic moments. Epic wedding photography has little to do with your location or decor. During the wedding I look for your personally epic moments. The things that happen during the day that will mean a lot to you for the rest of your life. Moments that happen in a split second with no posing or planning. These produce pictures that contain the raw and real emotions of your wedding day. 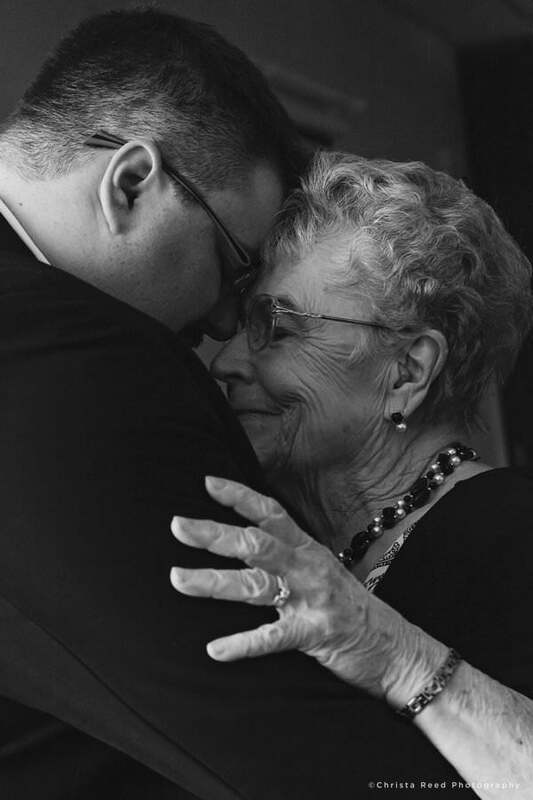 Matt and his grandma at the beginning of the ceremony. This picture will hold meaning to him forever. My goal for your wedding photography is always to capture authentic moments, and show you how incredibly epic your wedding is. I’m a wedding photographer located in Belle Plaine and traveling in Minnesota. I have a storytelling style, and shoot both naturally posed and candid, documentary style pictures of your day. To get in touch, send me an email via my contact form here.